KFAR ADUMIM, West Bank (AP) — Israel said Tuesday it would slap high taxes on vacation rental company Airbnb and encourage legal steps against the site over its decision to ban listings from West Bank settlements. The threats of sanctions ramp up Israel’s fight against a global movement advocating for boycotts over the country’s treatment of the Palestinians. The Boycott, Divestment, Sanctions campaign, also known as BDS, has claimed a number of successes in recent years, leading Israel to identify it as a major threat. Israeli Tourism Minister Yariv Levin called on Airbnb to reverse what he called a “discriminatory decision” and “disgraceful surrender” to the boycott movement, vowing that Israel would retaliate. “If you have a policy of discrimination against Israelis you cannot earn money in Israel,” he told The Associated Press. He also said the government would encourage hosts in West Bank settlements to sue the company to make it “pay” for its decision. Levin added that Israel would impose other restrictions on Airbnb’s operations in the country, without elaborating. Airbnb announced on Monday that it would delist some 200 properties in the coming days and cease its operations in Israeli settlements “that are at the core of the dispute between the Israelis and Palestinians.” The company declined to comment on the Israeli threats. The boycott movement, which calls for sanctions against settlement products and companies doing business in the West Bank, has made inroads in recent years, helping to tarnish Israel’s international image and prompting it to take retaliatory measures. Israel has enacted a law banning any foreigner who “knowingly issues a public call for boycotting Israel” from entering the country. It has identified activist groups from around the world whose members can be denied entry upon arrival. Airbnb’s decision coincided with the publication of a Human Rights Watch report Tuesday investigating tourist rental listings in settlements by Airbnb and Booking.com. 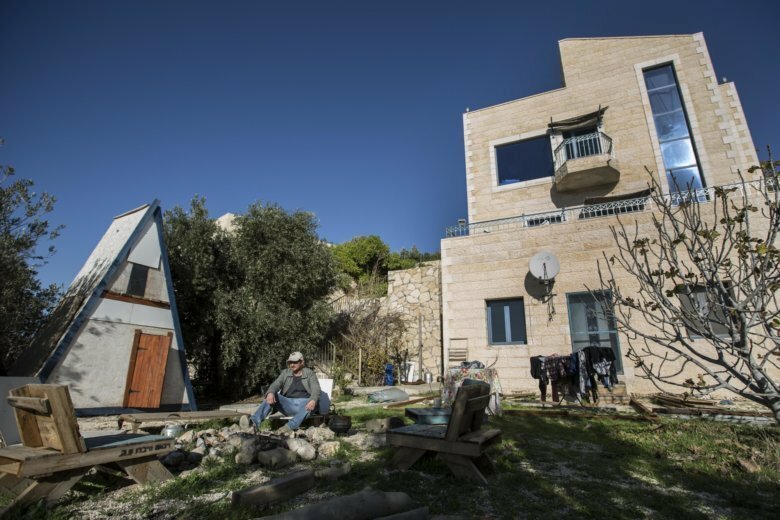 Entitled “Bed-and-Breakfast on Stolen Land,” the report says that Israeli settlements’ discrimination against Palestinians uniquely violates humanitarian law and Airbnb’s nondiscrimination policy. Most Palestinians must obtain a permit to enter the settlements or Israel proper and typically do so as laborers. Omar Shakir, Human Rights Watch’s Israel-Palestine director, said that with its threatened sanctions, Israel was prioritizing its support for settlements over a thriving tourism industry in Israel proper that relies on services like Airbnb. If applied, the sanctions could affect lodging costs for thousands of tourists expected to arrive in Tel Aviv next year for the Eurovision song contest. Senior Palestinian official Saeb Erekat called Airbnb’s decision an “initial positive step,” and urged the company to extend its decision to Israeli listings in east Jerusalem. The BDS movement echoed that sentiment in a statement on its website. Tsofiya Jacob has rented out her apartment in the Kfar Adumim settlement using Airbnb for the past year and a half to a regular rotation of European and American tourists. She advertises her rental on Airbnb as an “escape from daily tumult” in Israel, and doesn’t mention that the property, complete with a Jacuzzi and desert views, is located in the West Bank.